ST. PAUL, Minn. (7/10/2017)—A new program to help private woodland owners steward their land and legacy begins this summer in northeastern Minnesota. A course designed for individuals and families who own woodlands in Minnesota’s Laurentian region features online courses and three field tours. The first tour is Aug. 12. Content includes harvesting for forest health, recreation and wildlife, working with the logging industry, long-term planning and cultivation, and estate planning. 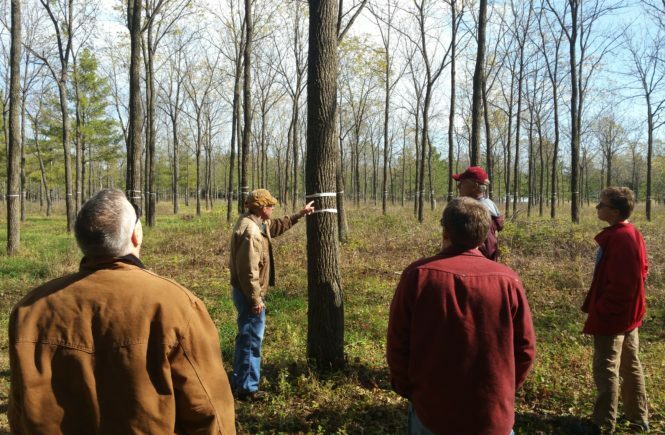 The course is geared toward the needs of landowners in the region stretching from Ely to Grand Rapids and eastward to include inland portions of Lake and St. Louis counties. 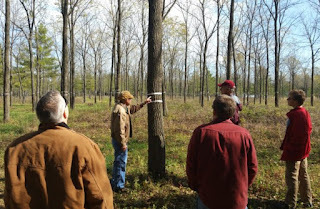 For landowners on Minnesota’s North Shore, or within three miles of Lake Superior, a course that includes a focus on restoring forest health and long-living conifers begins with a field tour on Aug. 5. There will be three more field tours. Like the Laurentian course, it will focus on tree and land care, planting and estate planning. The online content is self-paced and also helps organize discussion groups among landowners. According to the Minnesota Forest Resource Council, 37 percent of Minnesota’s 17.4 million acres of forestland are privately owned. In 2013, these owners harvested 27 percent of the 2.9 million cords of wood harvested in Minnesota. Master Woodland Owners was launched in southeastern Minnesota in 2016. Next year, Extension plans to introduce the course to woodland owners in the Brainerd area. Cost for the course varies. Grant funding has enabled the Laurentian course to be offered at no cost for residents of Koochiching, Itasca, Lake and St. Louis counties. For residents of St. Louis and Lake counties, the North Shore course is available at a reduced fee. The course is open to landowners from other parts of the upper Midwest; regular cost is $195. More information is available at http://mwop.umn.edu/. Course content is available from Reichenbach at reich027@umn.edu or 218-726-6470. Registration questions can be directed to Emily Dombeck at edombeck@umn.edu, 612-626-6709.